A Guide to Efficiently Creating a Marketing Blog | Host.ie - Linux Hosting packages for all your Irish web hosting needs. If you’ve spent any time looking into how to build and develop your business, you’ve likely come across the phrase “content is king”. But why is that? It’s never been easier or faster to start a business. It’s even easier to promote a business with all of the digital tools at our disposal. Sometimes people start promoting before they even have a business. 22,354 small businesses were started last year alone. That’s an awful lot of competition to stand apart from. With so many legitimate businesses competing for the same potential customers, you’ve got to do something to stand out. You’ve also got to differentiate yourself from the unscrupulous impostors who might be in your industry. Blogging accomplishes all of these goals at the same time. That’s probably why 53% of marketers plan on making a marketing blog their top promotional priority. If you’ve been thinking of starting a marketing blog to help raise brand awareness and increase customer trust and loyalty, you’re in luck. We’ve compiled a step-by-step guide for starting a marketing blog. First off, let’s start by stating the obvious. There’s no such thing as a boilerplate, color-by-numbers marketing plan or business strategy. A marketing department’s job is to highlight your brand’s unique value proposition (UVP). This will greatly influence your marketing blog strategy. Every business has different business goals, as well. This will also shape and sculpt how you set up your blogging strategy also. If you’re brand new to blogging, the first step is establishing your blog. If you already have a website, it’s a good idea to host your blog on your existing page. Blogging is great for SEO and only becoming more important as the years go on. The next step is deciding on what blog format you’ll be using. WordPress is one of the most popular, so much so that’s it powers 26.4% of the entire Internet. If you’re still learning the Ins and Outs of web design and programming, your web host can most likely help you set up your blog. You can also start a free standalone blog using WordPress or Blogger. This is a great way to get started if you’re itching to write and start promoting your business. You may need to copy those blog posts over once you establish your blog on your website, however. Here’s the step where blogging and your business and marketing goals intersect. As you’re mulling over what you’ll blog about, you’ll come to a greater understanding of what goals you’re hoping to promote. For instance, maybe you’re trying to raise brand awareness around your business. Right off the bat, this is going to influence what kind of blog posts you’ll write. Create great content that people will want to share is the easiest and quickest way to help spread the word around your brand. Interesting, entertaining listicles and roundups get great traction on social media, as an example. Raising brand awareness isn’t necessarily mutually exclusive from other business goals, however. Create some thorough, well-written and researched blog posts and you’ll increase your trustworthiness and authority at the same time. If generating leads or actual conversions is your goal, you can create blog posts around useful keywords that people will be looking for. Keyword research shows how planning your blog posts intersect with your overall business strategy. As you come across more useful keywords and phrases in your industry, a blog strategy will begin to emerge. You’ll decide what posts you want to write and it will also help you decide when to write them. 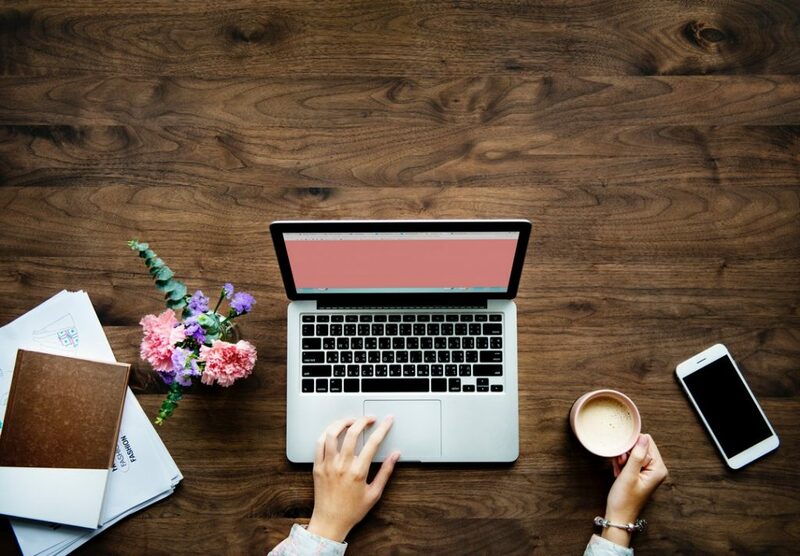 Now that you’ve got a sense of what you’re going to be writing about and the goals you’re hoping to achieve, you can get down to the business of creating blog posts. Your burgeoning blog strategy should give you an idea of what kinds of blog posts you want to right. Looking at this list gives even more insight into how you might create a blog strategy. Articles that require more research, like listicles and authoritative informative posts, require significantly more time than news pieces or light, entertaining viral fare, for instance. You might schedule your more masterful posts to publish on a set time when your audience is likely to see them, like Monday morning for instance. Then you might create shorter new pieces throughout the week in your spare time. However you proceed, you should strive to publish at a regular time. This lets your audience know when to expect new posts. It also helps to increase your brand’s trustworthiness, as an additional benefit. Your customers can see, first-hand, you’re not going to vanish into thin air. This item should probably be at the start of the list, but now that you’re creating actual content you need to understand what your audience is looking for. This will shape everything from the tone of your writing to the visual aesthetics to how you market your blog posts after the fact. If your audience is millennials, for instance, you probably don’t need to create persuasive posts about the importance of social media. At best, it’s a waste of time. In the worst-case scenario, you can even do more harm than good as you risk coming off as condescending if you write below the level of your intended audience. So how do you know what your audience wants to read? Buyer personas. A buyer persona is a mock-up of your ideal customer. It should be based on actual studies and marketing research if you have them. Your job is simple. You solve your problem for them and they will love you for it. They will thank you with money, praise, and loyalty. They’ll even advertise your business for you. That’s the power of buyer personas. Otherwise, you’re just shooting in the dark, which is never a good business strategy. Now that you’ve created some blog posts that your customers will love, you can go about promoting your blog content. This helps raise awareness around your blog while advertising your business at the same time. There are a variety of ways you can go about promoting your blog content. Here’s a few of them. Promoting your blog content via social media is the point where content marketing and social media marketing intersect. It’s the most sensible synergy in the world. Create great blog content and share it with your social media network – simple! There’s a little bit more to it than that, however. First, you need to decide which social media network you’ll be using to promote your content. Twitter, Facebook, Instagram, and LinkedIn are the most popular, but they’re certainly not the only ones. This is another aspect of why it’s important to have buyer personas. This will help give you an idea of where your intended audience spends their time. More tech-savvy guys, for instance, hang out on Twitter. Millennials lurk on Instagram. Younger women live on Pinterest. Each one of these networks has their own rules and laws, including when they’re most trafficked. Spend some time researching when your audience is most likely to be signed on to those networks and schedule your posts around those times. A certain amount of trial-and-error will be required to know your actual audience, however. That’s part of the point of having a marketing blog, however. It yields rich, actionable marketing information from your customers and clients. Scheduling your social media posts will offer clear insights into when your customers are online, what they want to see, and what content they engage with the most. Take these insights and integrate them into your blogging strategy. With each step, your business becomes more robust, more streamlined. With all of these reasons, how can you afford to not have a blog? Ready To Take Your Digital Business To The Next Level? We are here to help you! We firmly believe in helping businesses reach their goals by offering the best possible web hosting at affordable prices. Whether you’re looking to build your brand with a marketing blog or increase your cloud storage capacity, we are here to make your life as easy and efficient as possible. Get in touch with us today and let us help you realize your dreams!